Dazzle your clients with the cool drawstring tote/backpack and they never again have to worry about a stuck or broken bag zipper, while traveling. Screen print your company’s logo on this versatile bag, to make your brand name omnipresent. Dazzle your clients with the cool drawstring tote/backpack and they never again have to worry about a stuck or broken bag zipper, while traveling. 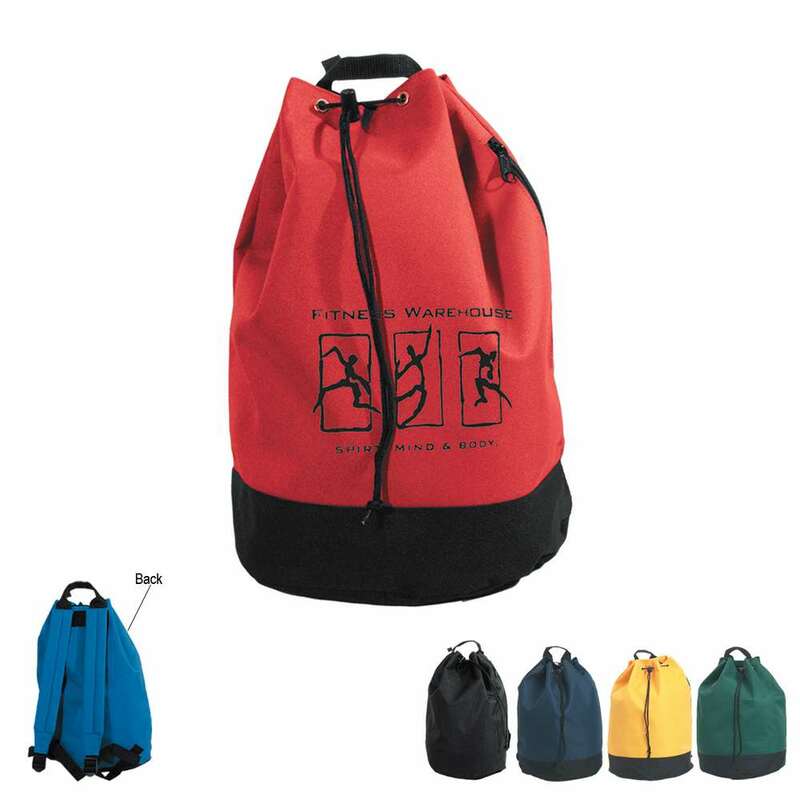 Screen print your company’s logo on this versatile bag, to make your brand name omnipresent. The tote is made of 600D polyester material and doubles up as a backpack. It has PVC lining and an adjustable drawstring closure. The backpack has a nylon loop handle on the top and padded adjustable shoulder straps on the rear for easy carrying. Spot clean and air dry the tote for a long lifespan. Give away the tote at campsites, tourist spots, and trade fairs, for increased brand visibility.